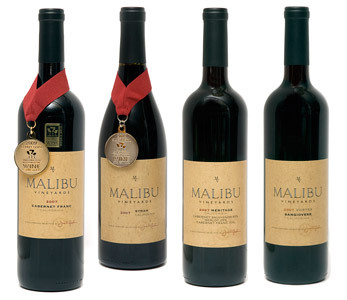 In the hills of western Malibu, single vineyards varietals are grown in a microclimate of mineral rich soils on a south facing hillside at an elevation of 1200 feet. Long days of sunlight and cool ocean breezes create a perfect wine grape growing climate with its own unique ''terroir''. Enjoy the rich flavors of this hand crafted wine. 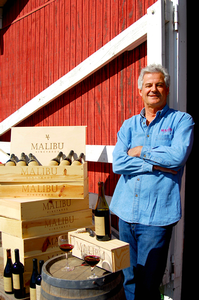 Jim Palmer is the wine grape grower, winemaker and award winner. Buy a bottle of art from a true winemaking artist.